Wayne Rooney's return to Everton is on the verge of completion. The Toffees agreed a deal with Manchester United on Friday and striker Rooney has signed personal terms, as reported by the Manchester Evening News. Rooney left his boyhood club in 2004 to join United - where he has become the club's all-time record goalscorer. He will return as part of the deal that will take Romelu Lukaku to Old Trafford in a £75million move. The Belgian striker is undergoing a medical in Los Angeles and is expected to join his new teammates this weekend. Rooney had entered the last two years of his United contract and his agent Paul Stretford explored a possible mid-season move to China. Despite interest from MLS clubs, there were no serious offers made to Rooney to relocate to the States. MLS commissioner Don Garber told the M.E.N. the league would only consider Rooney after his contract with United expired. Jose Mourinho dropped Rooney after just five Premier League games last season and the England skipper lined up only 10 more times during the league campaign. 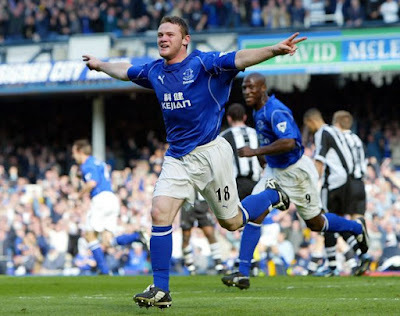 » Rooney to play for Everton again... in Duncan Ferguson testimonal!